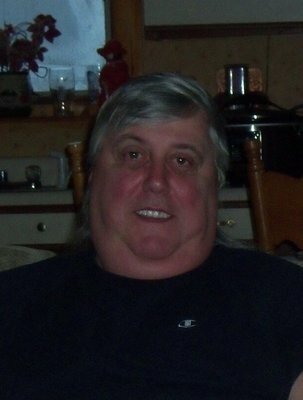 WEST CHAZY-George F. Bosley, 69 of West Chazy passed away Monday, July 9, 2018 at the CVPH Medical Center in Plattsburgh. He was born March 5, 1949 in Fort Benning, Georgia, the son of Roger and Virginia (Gokey) Bosley. He worked at Pactiv in Plattsburgh for 42 years. After retirement he worked at ACE hardware in Champlain. He was a member of the Sons of the American Legion. He was an avid sports fan, he loved the Boston Red Sox, the Boston Bruins, NASCAR, the Miami Dolphins and Syracuse University. George was predeceased by his parents and his step father, Robert Jordan. Left to cherish memories of George are his wife, Lori Bosley of West Chazy; two sons, Brad Bosley and his companion, Jamie of Swanton, VT, Shawn Bosley of West Chazy; two daughters, Penny LaPier and her husband, Charlie of Mooers and Nicole Bushey and her husband, Jason of Altona; one brother, William Bosley; four sisters, Linda and Tim Santana, Kathy and Chris Young, Brenda and Steve Young and Shelley and Bob Butterfield; seven grandchildren, Jordan, Ashley, Danielle, McKenna, Jacob, Brayden and Chloe. He also leaves his beloved dog, Boston. Calling hours will be Friday, July 13, 2018 from 3:00-6:00 p.m. at the Ross Funeral Home, 2586 Route 11, Mooers.